With the introduction of the new breakfast menu guests can choose from the 'Decadence Menu' complete with continental breakfast items and main course delicacies, a 'luxury 6-course 'Prestige Menu' with flavorful dishes, or an 'à la carte' with speciality dishes .There is also a specially designed kids menu waiting to welcome discerning young guests. The outstanding service here matches the beautiful surroundings. This space makes for quite an idyllic breakfast hotspot. 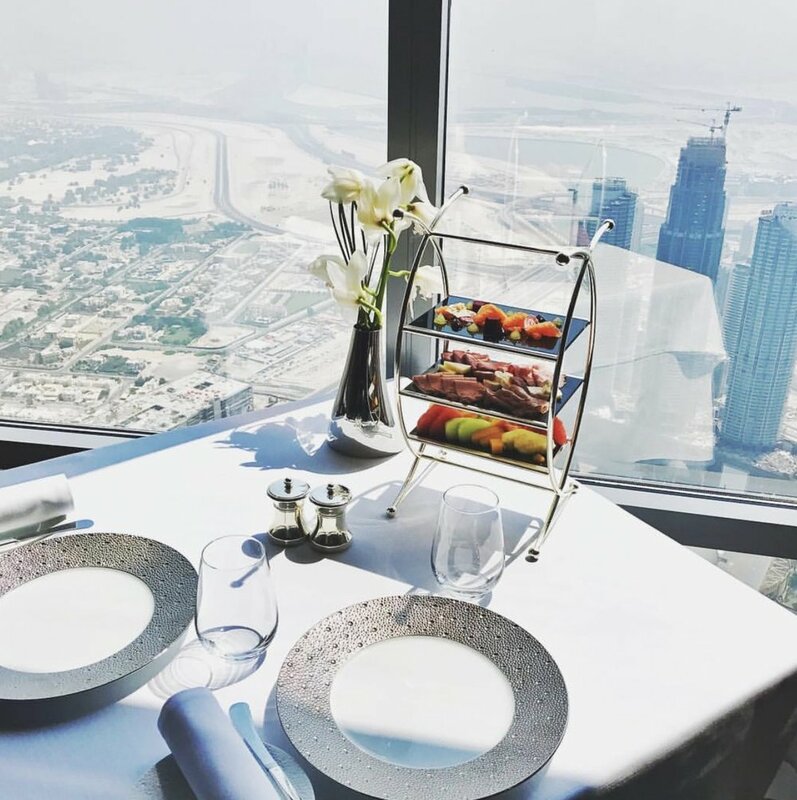 Where else can you enjoy an Organic 3 Egg Omelette, Roasti Potato, Sweet Crêpe while seated high in an iconic property with panoramic views of the city skyline and the Arabian gulf? Celebrating my special day here. watching the best at his craft in the kitchen. Christopher Graham, executive chef of At.mosphere is a chef who comes with personality. He's all about the quality of ingredients, flavor and presentation however, he would totally skip PRETENTIOUS plates with all the unnecessary garnishes. good food is his mantra. On top of the world as i welcome a new year. 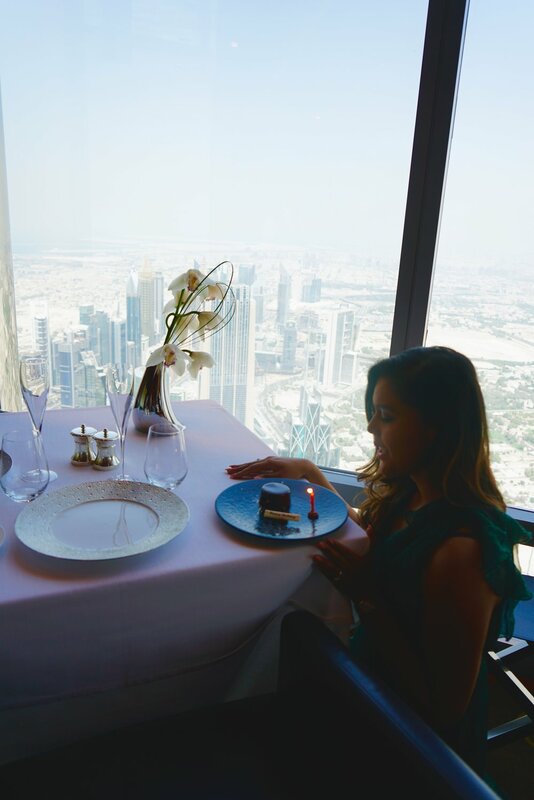 Price: Decadence Menu – AED 325 per person (UAE residents can enjoy 35% discount with their Emirates ID), Prestige Menu – AED 525 per person and À la carte – Dishes start from AED 60. Children below 5 years can dine for free (ID required with date of birth). Children aged 6-10 years are entitled to 50% on Decadence Menu only (ID required with date of birth). T&Cs: All ages are welcomed. 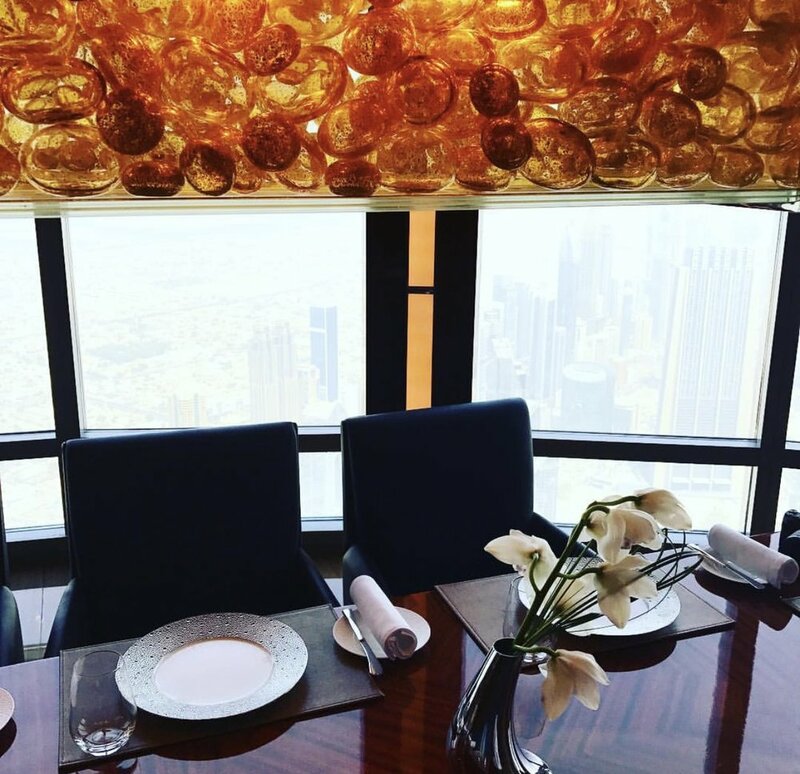 Minimum spend of AED 200 per person (window tables are subject to availability upon reservation). Only soft beverages will be offered during breakfast. 35% discount on Decadence Menu for guests with a valid Emirates ID card.